Furniture discovered in tombs was placed there for specific funerary purposes to accompany the deceased to the afterlife. Much was decorated with hieroglyphic symbols of religious significance to Egyptians (figure 16). 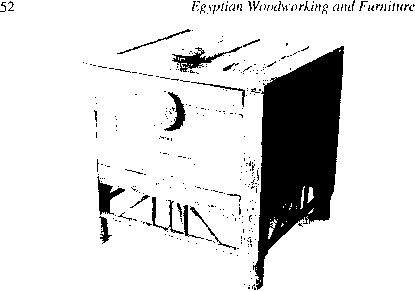 Symbols such as the was (dominion), ankh (Me),neb (all) and djed pillar (stability) were commonly cut from timber, gilded and then attached to the piece of furniture by pegs.